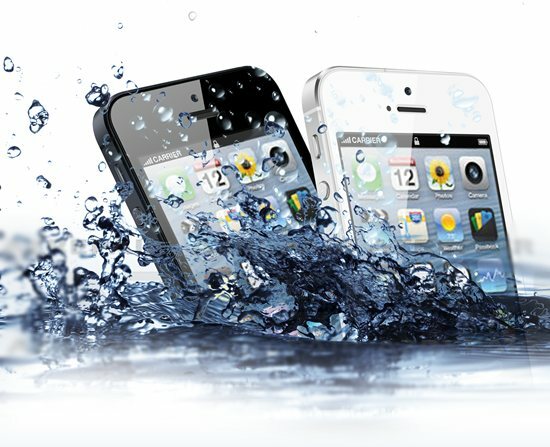 Did your cell phone take a dive into the ocean, pool, lake, river or worse (we won't go there). Did you spill something on your smartphone? 1. Grab your iPhone or iPad IMMEDIATELY - the longer it stays in water the worse off you are. 3. Remove your battery (if your cell phone battery is removable) or anything removable remove it. 4. Put it in rice and call Cell Phone Repair Mission Viejo. The quicker you get it in our hands the more likely it is that you won't have to buy a new iPhone or iPad. If your iPhone has fallen into the ocean or some form of salt water, it is even more important to get it to a repair shop ASAP. Salt will destroy the components inside your phone and it may never come back on if you wait to get it fixed. We have highly qualified experts capable of diagnosing, troubleshooting, and fixing problems that may arise from water damage. We have recovered phones from falling into anything from margaritas to toilets to the Pacific ocean. So don't worry, we can help get your iPhone, iPad or other device fix too.